Line 13x9-inch pan with foil; spray foil with cooking spray. Place cereal in large bowl; set aside. 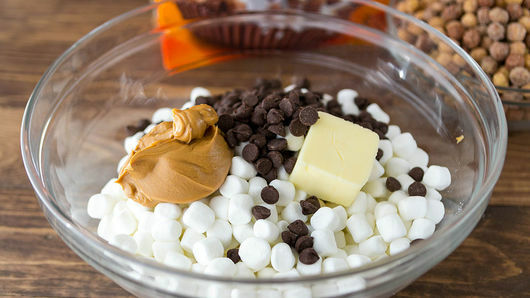 In very large microwavable bowl, place chocolate chips, peanut butter, butter and marshmallows. Microwave on High in 30-second increments, stirring after each, for 1 to 2 minutes or until mixture is thoroughly melted. Mixture will be very sticky. Quickly pour cereal into melted marshmallow mixture; stir until cereal is evenly coated. Mixture will be sticky. Pour into pan. Spray hands with cooking spray; press hard to compact mixture into pan, being careful since mixture will be hot. Refrigerate until set, about 30 minutes. For bars, cut into 6 rows by 4 rows. 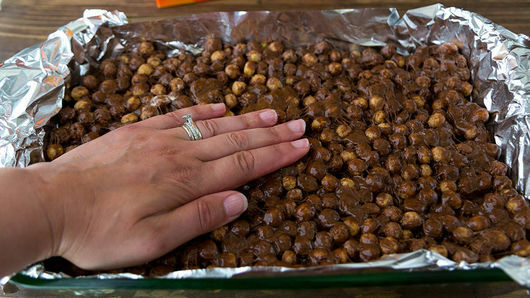 You can also use greased waxed paper to help press the mixture into the pan if you don't want to use your hands. 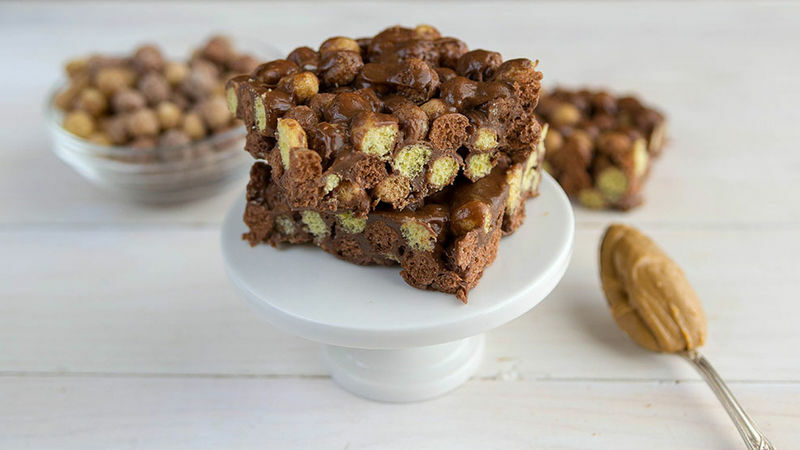 Substitute your favorite cereal for a new flavor bar.